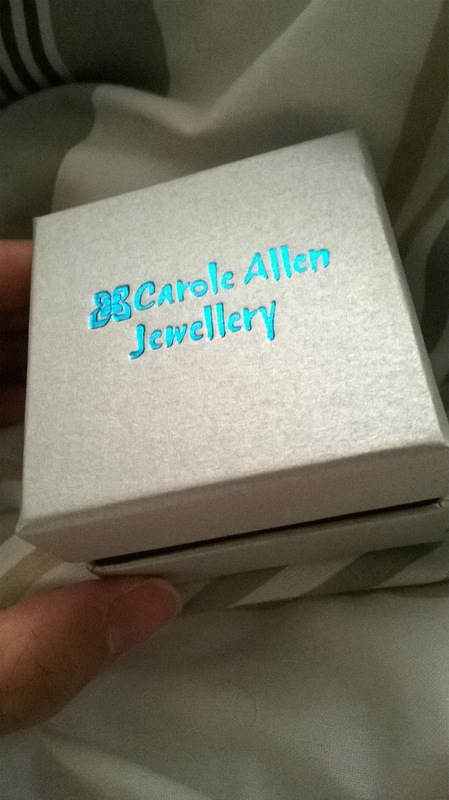 I ordered it from Carole Allen Jewellery at Not On The High Street. 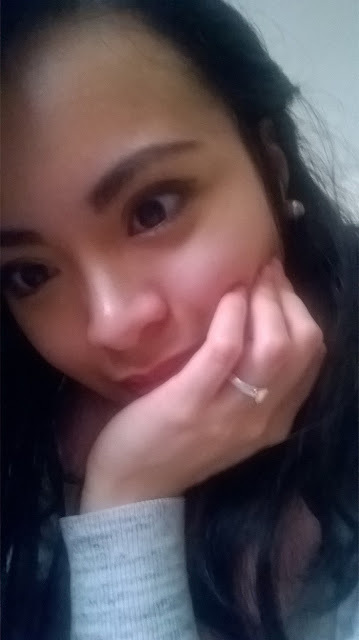 I would say it's my first high-end jewellery purchase and I really wanted one that wouldn't tarnish so easily. 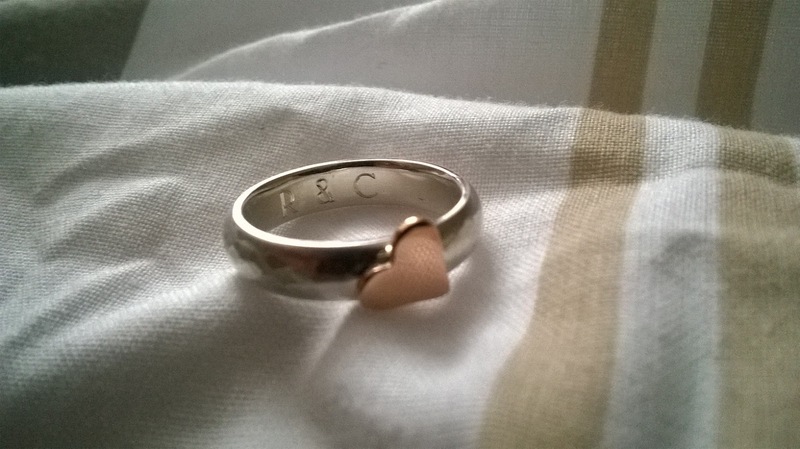 You get a choice of a copper heart or a rose gold one. 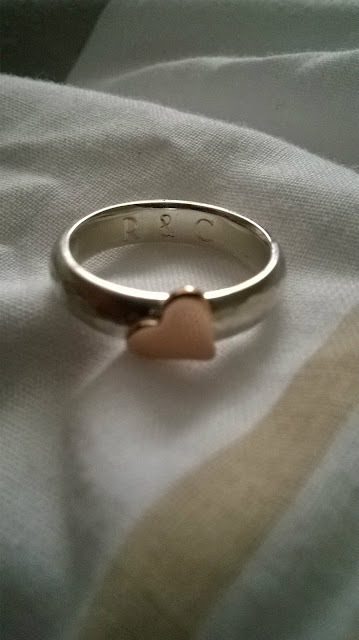 I paid a little extra for the rose gold but it's worth it as I would love this ring to last a long time. It's a little big for my ring finger (I ordered the smallest size which is J) so I tend to wear it on my middle finger these days. But the owner can definitely make a smaller size for you if you wish as it is a personalised service. 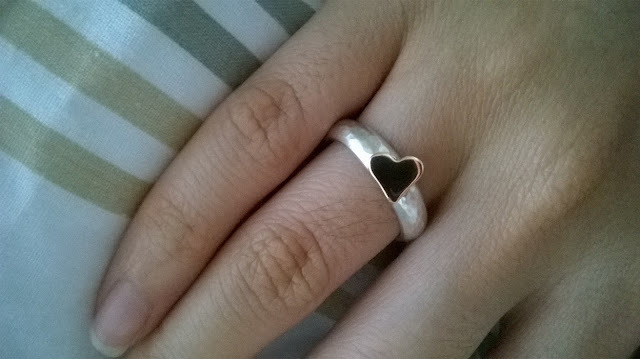 I don't really want to get mine resized as I am very happy with it the way it is. I absolutely adore its hammered matte finish - adds some character to it! I don't wear it at work (as I work in the Microbiology lab - I wouldn't dare get my precious ring all bacteria-infested! Haha!) but I keep it in a pouch in my bag at all times, ready for use when I'm elsewhere. It's quite easy to clean. I use the fabric pouch that one of my earrings came in to give the ring a gentle wipe. I've also washed it with handsoap and water and it still looks good as new. I've read that sterling silver can be washed as normal anyway. But generally I just put the ring away when I need to wash my hands. I would love to order more from Carole Allen. Her pieces are just simply lovely and they make great, thoughtful gifts! Delivery is very speedy as well. 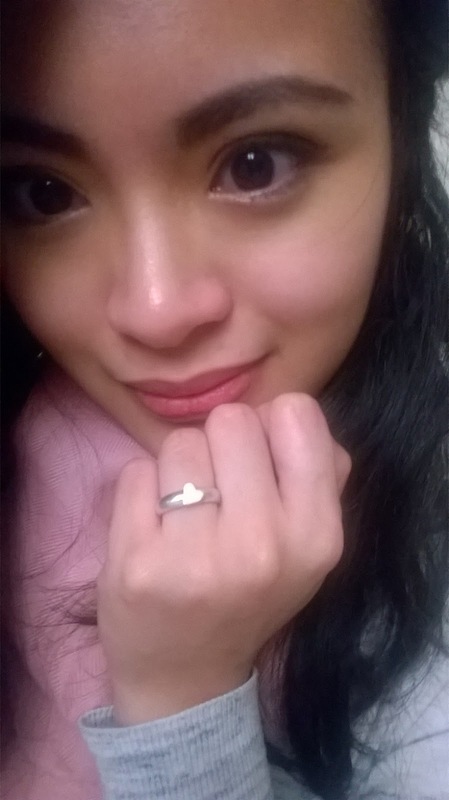 I am extremely delighted with my purchase and I wanted to write this post as soon as I received my ring but I never got the chance to until today. Still in love with it from Day 1!